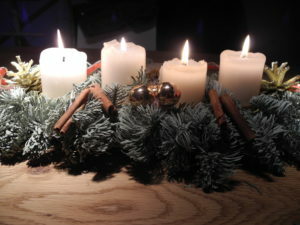 As a tip of the Santa hat to the season, this time around I will introduce the language of the holidays in search of clues for how the German language puts its singular stamp on the festive vernacular. 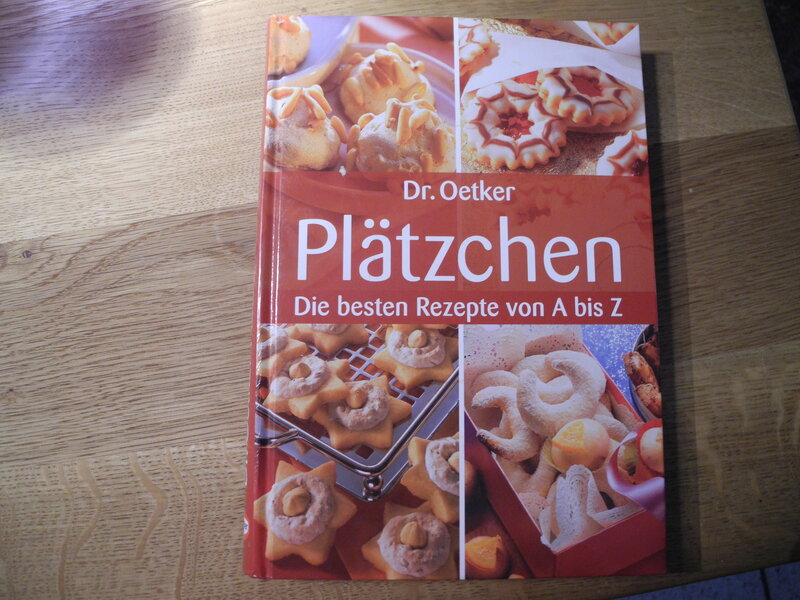 Christmas Cookies–or Plaetzchen–are taken VERY seriously in Germany. This bad boy has almost 300 pages of recipes. Anecdotally, I know that Christmas cookie baking is as robust a tradition in the States as it is in Germany. I have seen the scrumptious photos on my social media newsfeeds (stop it, by the way–my waistline grows an inch with every view). Which is why it is a bit curious to me that the American English language hasn’t bestowed these special treats with their own name, as the Germans have. 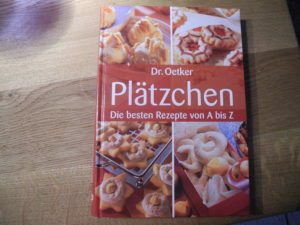 I learned very early in my time here that “Plaetzchen” is the name for the hundreds of varieties of Christmas cookies that start appearing at holiday parties throughout the country this time of year. How did I learn? The same way I learned many an important word back in the early days here–I heard a friend use it (in this case, she asked if she should bring some “Plaetzchen” to a Christmas get-together I was organizing), was too afraid to lose face by asking what it meant, cooly played it off as if I already knew (surely it meant plates, which I already had plenty of) and–ruefully, so very ruefully–learned too late what I had turned away. Oh, the humanity. I’M SO SORRY JUTTA! 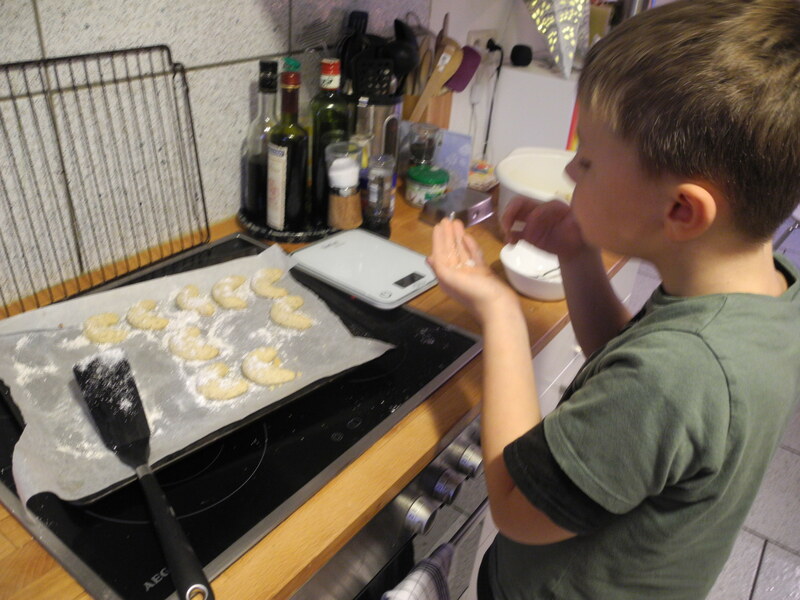 My own little Dr. Oetker, making his great-grandmother proud by baking his first-ever batch of Oma Julie’s Vanilla Crescents (“Vanille Kipferln”), a family favorite. No need to bless me, I did not just sneeze. Rather, I cyber-articulated the very special word used to mean the act of giving and receiving Christmas gifts. As I mentioned last Christmas, the Bescherung takes place on what Americans call Christmas Eve. Fun Fact #1: “Gift” means “poison” in German. Please, no gift-giving here. Germans are swell folks. No holiday / winter season is complete without Gluehwein, best enjoyed in a dedicated mug and–of course–freshly-baked Plaetzchen. On a winter trip to Austria years (and years and years) ago, my underaged self somehow managed to nip a sip of this very traditional cozy winter drink at a Christmas Market. My taste for fine libations being unevolved as they were at the time, I thought it was disgusting. In fact, the steaming, sweet wine-y taste became a thing of lore, so nasty it was, and I was glad to have thousands of safe transatlantic miles between myself and “that stuff”. Ha! 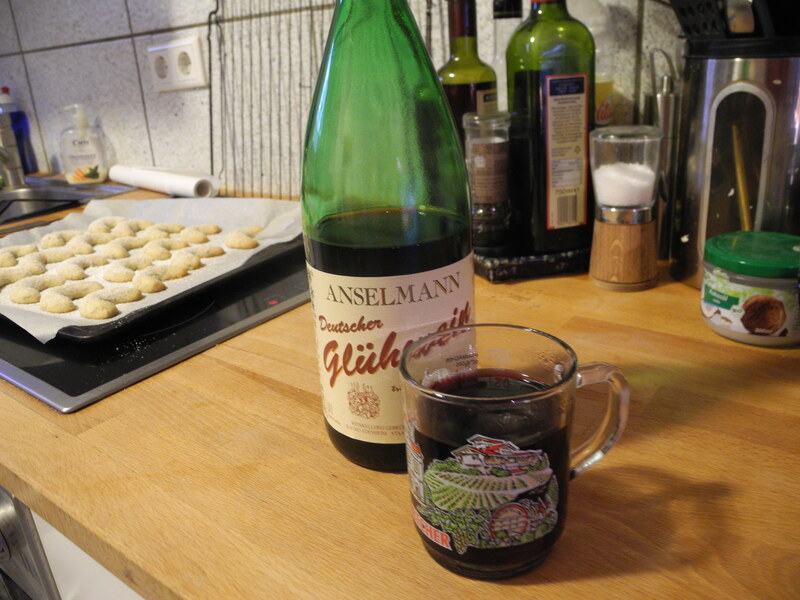 For perhaps the specific purpose of schooling me to appreciate Gluehwein (which has nothing to do with glue, rest assured), the universe blew me across the ocean a decade later for a more permanent stay–smack dab in the middle of German wine country, no less. Now, of course, I savor the stuff and how it warms me from the inside out. Ah, the mysterious ways of the world. Let’s take a stab at how many Americans know what this refers to, with the clues that you can already eliminate a certain Boxer-playing Italian-American actor as well as a Warner Brothers cartoon character. Anyone…anyone….? Now I’ll ask Germans a similar question: though you obviously know the holiday this refers to, do you know WHY it is called this? Anyone….anyone…..? 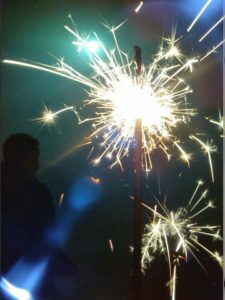 Silvester (New Year’s Eve) in Germany means a multitude of private firework displays, sparklers in one hand and sparkly in the other, and raucous revelry. Just don’t plan on driving anytime soon after the stroke of midnight–thick smoke renders visibility to near zero. As we head down the home stretch of the Advent season and of the year 2016, wherever in the world you are, I wish you peace, prosperity and many Plaetzchen. If you want to avoid turning away delicious baked treats– and other language-barrier induced snafus–start 2017 off with an English Language course. And if you’re in the States, make this the year to learn a new langauge or freshen up what you learned in high school…it’s good brain training! Ah, Michelle —- so informative and SO funny! (I could “hear” your voice narrating the text). Love your humor! Thanks! And I “heard” Oma Julie’s voice talking us through the Vanilla Kipferln, as well as the cabbage noodles I made later!